VANKLEEK HILL, ON – Beau’s All Natural Brewing is continuing this year’s edition of FeBREWary – a month of beer launches and related events – with the release tomorrow (February 18th) of latest in the Beau’s Farm Table Series of traditional and sessionable beers. 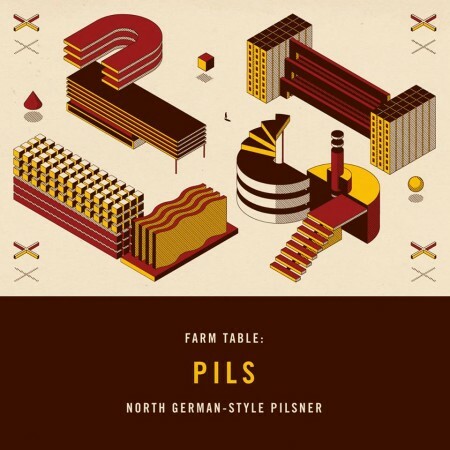 Farm Table: Pils is a pale straw colour, with great clarity and a billowy white head. The aroma is herbal and hoppy with some grainy, malty notes. A refreshing hop bite dominates the flavour which is counterbalanced by clean malt sweetness. The finish is quick and dry. Farm Table: Pils will be available in 600 ml bottles at the Beau’s brewery retail store and BYBO delivery service, and on tap at more than 200 participating bars and pubs across Ontario and Québec. A two-day launch event for the beer will take place at the Beau’s brewery this weekend (February 20th & 21st), with a cask-tapping, activities, prizes, tours and more.